Those who plan on studying the LSAT over the course of nine months or moreIf you have a long-term study plan, you must include a few lengthy breaks in your schedule. I occasionally talk to students who have intense study plans (think 8 hours of studying a day for a year—no kidding! ), and they often feel like any break will jeopardize their progress. It’s actually the opposite, because not taking breaks will lead them to joining the next group on this list, the LSAT burnouts. 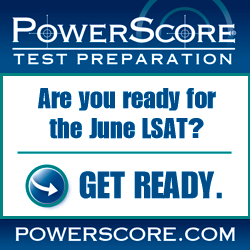 Those experiencing LSAT burnoutWhat’s LSAT burnout? It’s what happens when you study for so long and so hard that you literally get sick at the thought of seeing another LSAT question, and you’d rather gouge your eyes out than study any more (ok, maybe it’s not quite that bad, but you get the point). While most people never reach burnout while studying, for those who do, it can be quite frustrating. These students benefit heavily from a long break because they can recharge, and return to the LSAT refreshed. And they often return several points better than where they left off. Those who have reached a score plateauStudents preparing for the LSAT often run into score plateaus, where despite continued studying, their score fails to increase. While there are different causes and cures for this problem, taking a break from the test is one tool that is often overlooked. Just the break alone will often provide the push needed to break out of that plateau. Now, if you’ve only been studying two weeks, you shouldn’t take a month off, so make sure to vary your break in relation to how much studying you’ve already put in. Those who took the LSAT once and then decided to retake itConsider a student who takes the October LSAT and waits for his or her score before deciding whether to take the LSAT again. Scores normally aren’t released until the end of October, and in the interim, she decides not to study the LSAT. While this may seem like a bad strategy if you think you might take the December LSAT, this somewhat unintentional break (these students often don’t know if they will take the LSAT again, and they hope they won’t) often results in a slight score increase when they begin studying again. While that might not make up for the fact that they are taking the LSAT again, it is a nice little bonus that helps soften the impact.